Armchair blogger Matt Savage isn't scared of armchair Millwall hooligans - he's here to give his views on the match against the Lions. Dave Jones welcomes Steve Lomas. The laughable talking point in the build up to this game was the Millwall kit-man forgetting his job role and not bringing the Lions' away kit to Hillsborough. Instead the players were to play for at least the first 45 minutes wearing their hosts away kit of last season. The serious talking point in the build up however was of the poor start the two teams have made to the season, with Wednesdays solitary point earned at Leeds their only on the board whilst Millwall themselves have zero points and more worryingly for the London club, zero goals. Both clubs would see this match as winnable and if the Owls can match what they did when Millwall last visited Hillsborough, the start to the season will have definitely improved. 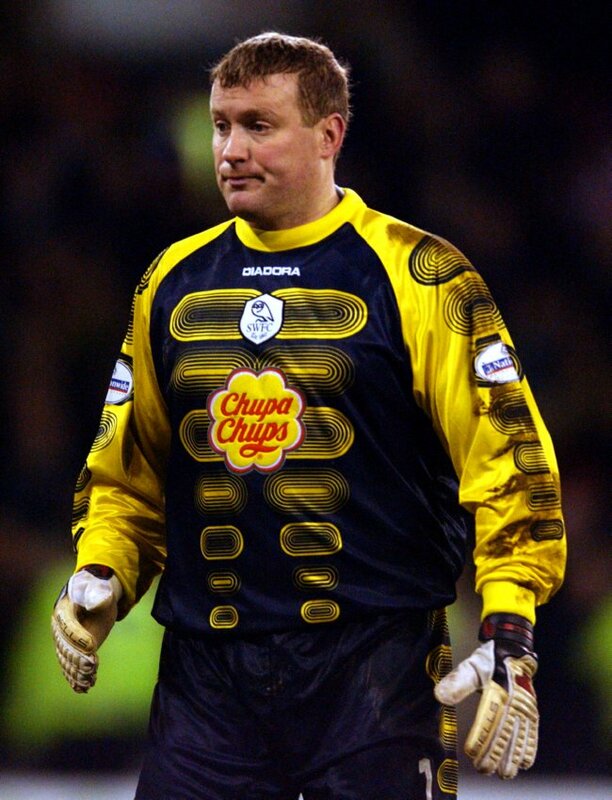 A warm round of applause rings around Hillsborough when 404-cap Owls legend Kevin Pressman, now Millwall goalkeeping coach, concludes the warm-up before the opening whistle. The match gets underway amidst a chorus of 'You're not fit to wear the shirt!' directed at the visiting players from the Wednesday faithful. The Lions almost get their goalscoring for the season up and running early on when a cross from the left is met by former Southampton midfielder Richard Chaplow whose shot is brilliantly saved by Chris Kirkland. It doesn't take long for the travelling fans to be celebrating though as a Lee Martin cross is turned in by last weekends goalscorer Kamil Zayatte - giving the Lions the lead in only the 4th minute courtesy of the Ghanaian defenders own goal. Not disheartened by conceding, Wednesday break from the off and Danny Shittu is penalised for a foul on Jeremy Helan. The free-kick is delivered by Lewis Buxton and met by Reda Johnson whose header beats another former Owl, Stephen Bywater in the Millwall goal - levelling the scores on the 6th minute. The lively start almost sees another goal but a 9th minute effort by Martin flies wide of the post and when Alan Dunne upends R.Johnson, Buxton gets the opportunity to deliver another set-piece. Another flap by Bywater is excused as no blue & white clad player can prod the ball home with Millwall defenders rescuing their goalkeeper. Those defenders are caught asleep on the 12th minute though as a trademark run by Helan results in the winger beating 2 men before whipping a cross into the box - only for no support to be arriving in time before yet another former Owl, Mark Beevers clears a Liam Palmer corner. The home side look in control now and brilliant hold-up play by Atdhe Nuhiu creates a chance for Palmer, only for good defence work to see away the danger. Bywater saves a 17th minute shot by David Prutton before Nuhiu is clattered into by Beevers. The resulting free-kick comes to nothing but Nuhiu gets the ball back well before feeding Helan and his left-footed driven shot flies past the sprawling goalkeeper to turn the game on its head, Wednesday lead after 20 minutes! Good work by Giles Coke breaks up a Millwall 'touch & go' in the centre of the field before Michail Antonio blazes over the crossbar after leaving Shittu behind as the Owls look to extend their lead. As the half hour mark approaches Millwall earn a corner only to see Kirkland rise the highest and make the clearance, as Wednesday look to break with the pace of Helan - the referee brings back play, bizarrely judging the former Manchester City man to have fouled free signing Nicky Bailey in the process. Good closing down by Coke and Prutton see the visiting midfield become sloppy and misplacing their passes, this leads to a break that Antonio delivers into the box, only for Coke to head straight at Bywater in goal. A 36th minute effort by Chaplow flies harmlessly wide after rare good midfield work and neat play between Palmer and Nuhiu almost sees the striker put through on goal, only for Beevers to intercept and clear the danger. With half-time approaching the giant striker smacks an effort against the post before Bywater calmly claims a Buxton corner, Wednesday have reacted well to the early set back and Millwall haven't got into the game. After 2 uneventful additional minutes Stuart Attwell brings the half to an end. SWFC v MFC half-time supplies! HT REVIEW: An unfortunate opening to the game for Wednesday and Zayatte but the reaction to going a goal down has been positive - neat passing play mixed with pacey counter attacking football. The midfield pairing of Coke and Pruton have done their job well, breaking up the Millwall forages forward and Millwall will be hoping a change in kit at half time will see their fortunes improve. A belly-busting half time dinner of pie, chips and mushy peas washed down with a coffee leaves me eagerly awaiting the second half where I hope Wednesday seal the first win of the season. Before the second half gets underway, Millwall - now in their own away strip, replace Shittu with club captain Paul Robinson whilst Wednesday replace Buxton with Jose Semedo. Only 7 minutes into the second half and a typical Semedo challenge results in a free-kick to Millwall as Bailey is fouled deep inside his own half. A quick Wednesday break see's Antonio away and the pacey winger has his legs taken away in the box before he can unleash a shot - penalty! Penalty?... Referee??! Nothing given! Incredible decision by Attwell who gets booed by the home crowd. Only a minute later and R.Johnson concedes a free-kick when he fouls Chaplow, the referee has no qualms about blowing his whistle this time, fortunately for him though Dunne's delivery comes to nothing. The game has opened up now as Millwall come into the game more, finding space where there was none in the first half and when a neat ball through the middle looks to have unlocked the Wednesday defence, Zayatte does very well to close the door in their face. Former Bournemouth man Liam Feeney enters the action on the 54th minute when he replaces Martin in midfield. The linesmans flag stops a Millwall attack before the Owls earn a free-kick on the half way line, delivered long by Helan and dropped by Bywater again - allowing R.Johnson to smash the ball into the unguarded net and giving Wednesday a 3-1 lead ... NO GOAL! The referee judges Bywater had been fouled and the goal doesn't stand. As the Lions look to capitalise on their good fortune they come close to their own penalty claim when Zayatte fouls Andy Keogh just outside the area. Feeney delivers the set-piece and Palmer sees away the danger, with that the back line steps up and when the ball is put back into the box, Bailey is caught offside. Good work by the Wednesday defence. When a 61st minute cross by Dunne is cleared by Zayatte, Antonio is through on goal again after leaving Robinson in his wake, the pace of Antonio causing problems for the visiting defence. With Hillsborough on its feet the fan favourite is taken out by Bywater and as far as ridiculous decisions go, Attwell makes the worst - the most blatant of penalties (and possibly red card) is simply dismissed as the referee awards a corner kick. Helans corner comes to nothing but a great cross by Semedo is met by Antonio whose head back across goal sees Beevers clear from under his own crossbar. In a break of Wednesday momentum, a 65th minute cross by Keogh is easily dealt with by Gardner and the resulting corner by Chaplow breaks down. Nuhiu sees his number up a minute later and the hit-man is replaced by Chris Maguire before Derryis replaced by Dany N'Guessan for Millwall. Feeney delivers a cross that leaves the home defenders rooted only for Keogh to head his effort wide of Kirklands post, a let off for Wednesday in the 70th minute. Almost immediately at the other end Maguire flashes a shot wide before the games first yellow card is presented, N'Guessan booked for an elbow to the head of Palmer - leaving the young academy product bleeding and needing medical treatment. The former Auxerre, Rangers and Leicester City player can count himself lucky to still be on the field after that challenge, that could easily have been a red with the referee stood not 5 yards away. The Lions have Beevers to thank moments later when Antonio is again through on goal and the former Wednesday academy graduate gets a toe on the ball to prevent a strike at goal. As Maguire feeds the ball to the bandaged Palmer, a fantastic whipped cross to the back post narrowly evades the flying Helan as the Owls look to wrap the game up. An 84th minute Feeney cross is defended well by Zayatte and the frustration of the Millwall players is evident with their 'meaty' challenges. With 4 minutes of regulation time left, the linesman flags for a penalty to Millwall when a clumsy challenge by Helan on Chaplow gives the London club a route back into the game. Up steps former Leeds United and current Republic of Ireland international striker Keogh - who calmly slots the ball down the middle of the goal, seeing Kirkland dive and the scores are level again. When N'Guessan who is already on a yellow card starts a tangle with Zayatte, its surprisingly the Wednesday man who ends up on the wrong end of the clown referee, entering the book and receiving a yellow card. The break in play allows Coke to be replaced by youngster Caolan Lavery in the 88th minute. When Dunne fouls Antonio the chance of a dangerous free-kick is delivered to Wednesday, the cross by Palmer would have met captain Gardner only for the big man to have been wrestled away from it and yet again, no penalty is awarded. The Owls are pressing for a late winner but crosses by Helan and Maguire don't land for Wednesday and the Lions see away the danger. Last chance saloon for the home side comes in the form of a 95th minute corner and when R.Johnson tries to meet Helans set-piece, the Benin international is wrestled to the floor - only for Attwell to award Millwall the free-kick, deciding that Beevers was the man being fouled. Bywater just about takes the free-kick before the "referee" calls time on the game and is serenaded by boo's from the crowd to seal his abysmal performance. FT REVIEW: So disappointing to only end with a point as on the balance of play, Wednesday had that one wrapped up. Through the lack of having a clinical finisher at the club and the atrocious refereeing decisions, 3 points were snatched away by a Millwall side that look like they will struggle this season if things don't improve. Not that Wednesday were much better than their opponents, it was not a good performance but one that should have merited the full quota of points. The Lions will be grateful to Kamil Zayatte for the early goal as it put to bed their fears of setting a new club record without scoring a goal. 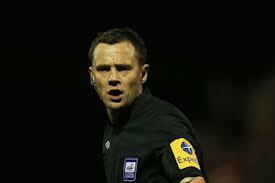 Dave Jones: "We got caught with being the wrong side, its not a penalty (for Millwall). The referee is closer but for some reason the linesman decides he wants to get involved and gives it. We've watched it from every angle and its not a penalty - but that's not the reason we haven't won. The reason is because we should have seen out the game well before then. If we're not going to get the third we certainly don't let them score." Steve Lomas: "I thought for long parts of the game we probably controlled it and got the ball down and passed it. Certainly the second half we spent most of the time in their half, apart from the last five minutes. I think the penalty was probably an accumulation because the one earlier - Semedo just rugby tackled McDonald to the ground! I just don't know how the referee doesn't see that. He's got the wrong side of him and got two arms around his waist, maybe its from that there we get the later decision - but it was no more than we deserved"